Does anyone know what the people are saying in these videos? 1. Will the French stand up to the Muslims in their midst or crawl and lick their boots? 2. When, if ever, will Obama concede that it’s terrorism? (His anodyne response to date says nothing about terrorism or Islam. 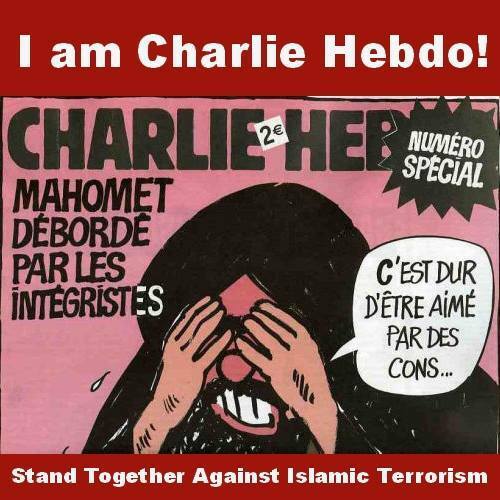 Others have noted, of course, Obama’s famous statement that “The future must not belong to those who slander the Prophet of Islam” and that his administration chastised Charlie Hebdo for using free speech against Islam. 3. What should countries do to combat a threat that isn’t aligned with any specific nation, but that circles the globe through various cells? 4. Assuming 2016 gives us a president who loves America and wants to protect her from violent Islamism, how far can we go on our soil to stamp it out without destroying our constitution in the process? Please feel free to go beyond these questions if you want to join the conversation at this Open Thread.